It's been snowy, for sure, but the petal show is on the way to the Amador County gem. Daffodil Hill, in Volcano, will open on March 30, 2019. DAFFODIL HILL... casts each spring. The beloved destination, which is located in charming Amador County, just announced its opening date for 2019, which will be Saturday, March 30. Repeat, that's the final Saturday in March, an occasion that many fans have been waiting on, especially since Daffodil Hill didn't open in 2018, due to a warm winter spurt followed by icy, soggy conditions (conditions that ultimately weren't kind to the early buds). But hurrah, the sunshine-hued attraction will have its big 2019 moment, though all visitors are absolutely asked to call before they drive up, just to make sure Daffodil Hill is open. The wet stuff is returning over the first week of April, too, beginning on the 2nd, so that might impact your visit. IT'S FREE... to visit this glorious spot, and parking is complimentary, too, but animals are not allowed, do keep in mind. What else is there to know, daffy devotees? Start here, to discover more about one of the Golden State's most golden spots, a spot that is ready to show its frilly fabulousness again in 2019, after a year away. Honest, though? 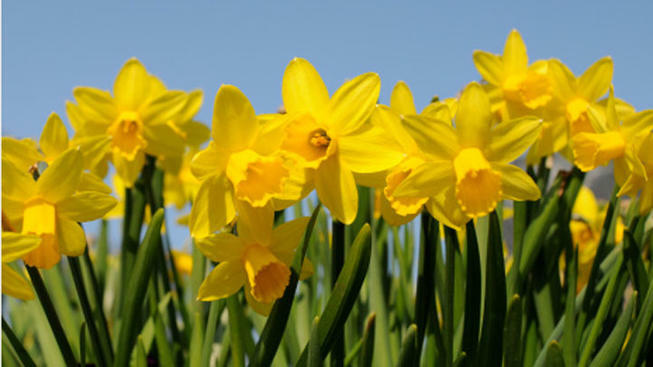 We're not sure about a watched pot never boiling, but a daffodil, given a lot of care, love, and the right weather conditions, can and will prettily bloom, just after spring begins, in vibrant Volcano, in the Sierra-splendid foothills of Amador County.